School of Earth and Space Exploration (SESE) postdoctoral researcher Adam Beardsley has recently won the prestigious National Science Foundation (NSF) Astronomy and Astrophysics Postdoctoral Fellowship. During the three-year fellowship, Beardsley will focus his research on using the new Hydrogen Epoch of Reionization Array (HERA) radio telescope (of which ASU is a partner institution) to search for signatures of the first stars and galaxies in the universe. To do so, Beardsley will be developing the techniques and framework needed to combine measurements from HERA with other galaxy probes, like the James Webb Space Telescope (JWST). While both these instruments will look for signals from the same period in the universe's history, they are going about it in very different ways. Beardsley’s work will focus on bringing their data together and unlocking their collective potential. Once the measurements of HERA and other galaxy probes are combined, Beardsley hopes to be able to uncover the mystery of how galaxies interact with their environment and how that environment influences the galaxy formation. Adam Beardsley in western Australia at the Murchison Widefield Array telescope. 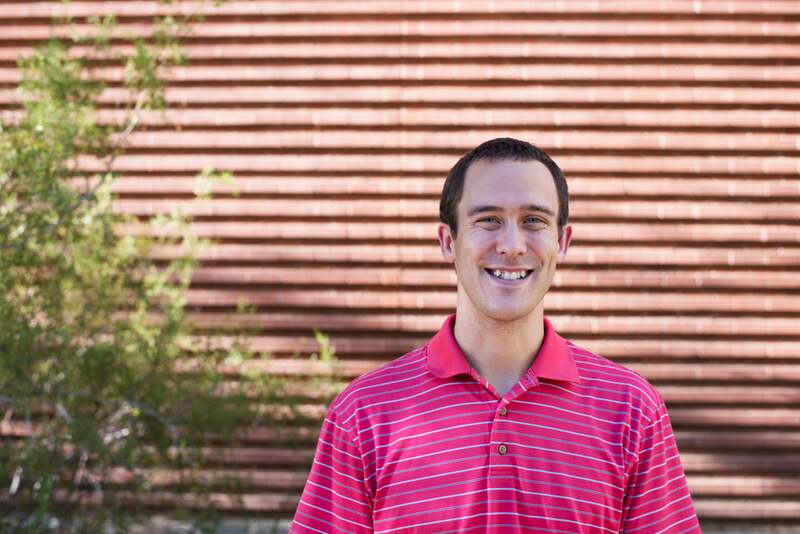 With this NSF fellowship, Beardsley also plans to work with ASU undergraduates to design a small open-source "hackable" telescope that high school students can build in their own classrooms. His goal is to offer hands-on lessons for students to experience astronomy, physics, building electronics and computer programming. Beardsley is the third recipient at ASU to be awarded this NSF fellowship (previous fellowships were awarded to SESE postdoctoral researchers Danny Jacobs and Karen Knierman). Both Jacobs and Beardsley are part of SESE Associate Professor Judd Bowman’s research group, LoCo Lab, which develops radio instrumentation and conducts astronomical observations to study the evolution of the early universe and the first stars and galaxies. “Having three of our postdoctoral scholars receive this NSF fellowship shows how ASU’s astronomy group is excelling and attracting the best early-career researchers,” said Bowman.